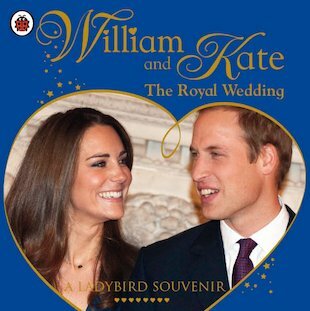 Celebrate the splendour of the Royal Wedding with this beautiful souvenir book, finished in gold foil on the cover. Follow the courtship of the happy couple from their first romance to their spectacular wedding day! This very special, highly collectable souvenir book commemorates the engagement and impending marriage of HRH Prince William and Kate Middleton. It gives you the full story of how they first met, how their romance blossomed, and of their engagement and wedding plans. Key facts and stunning photos chronicle their courtship from university friends to betrothed couple, while the book also offers lots of fascinating facts about previous royal weddings. Delight in the magic of a royal romance that has captured the hearts of people around the globe!